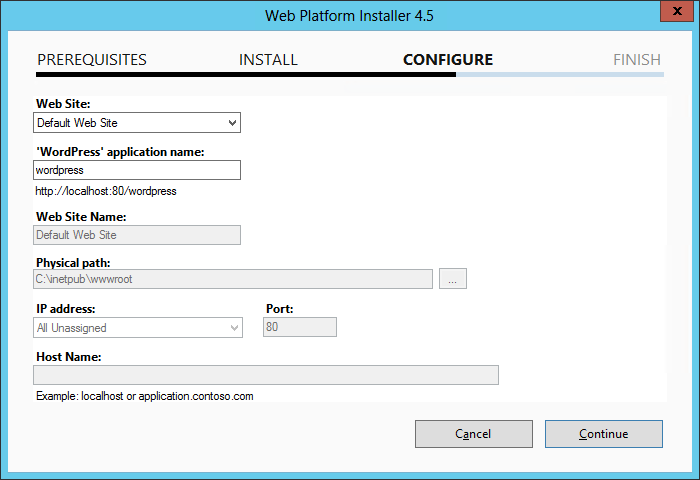 Installing WordPress on Windows Servers have been a challenge for me in the past. Mostly because of my ignorance to web development and the pre-requisites such as PHP and MySQL. Pre-requisites especially because I didn’t know where to get it, how to install it and ofcourse searching the web always gave me an answer, it was never simple or easy. 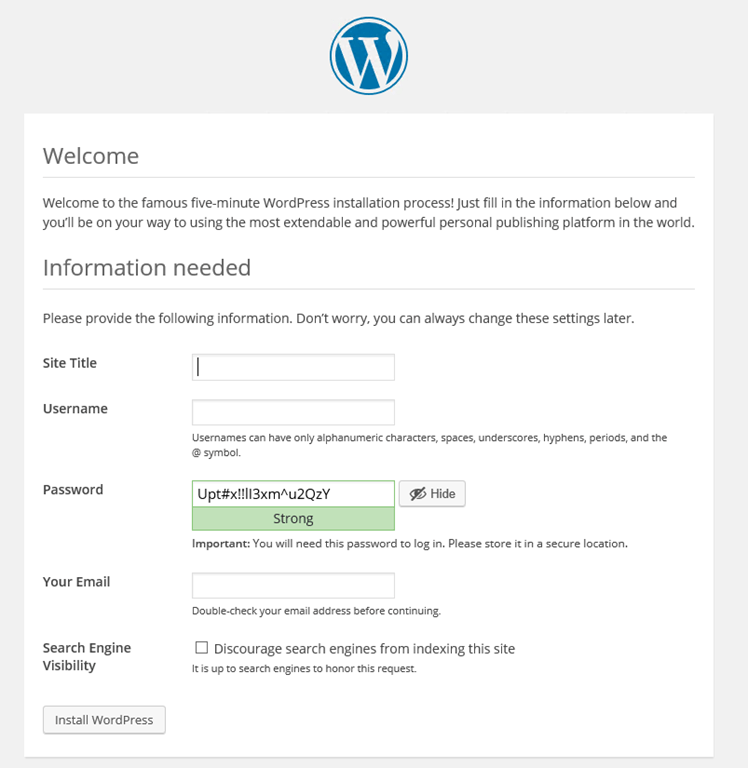 Usually I simply ignore it but since I wanted to install WordPress, I figured why not. 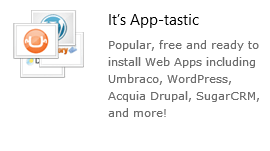 While I didn’t expect WordPress to be a direct download there, I clicked Yes to see what it has to offer. This was euphoria. Call me lazy but for the stuff that I am not an expert on, I would rather have someone else help me get it right. MAny reasons besides I don’t have to do it. I know it’s being done right, I know that I am not making mistakes that someone with knowhow won’t make. 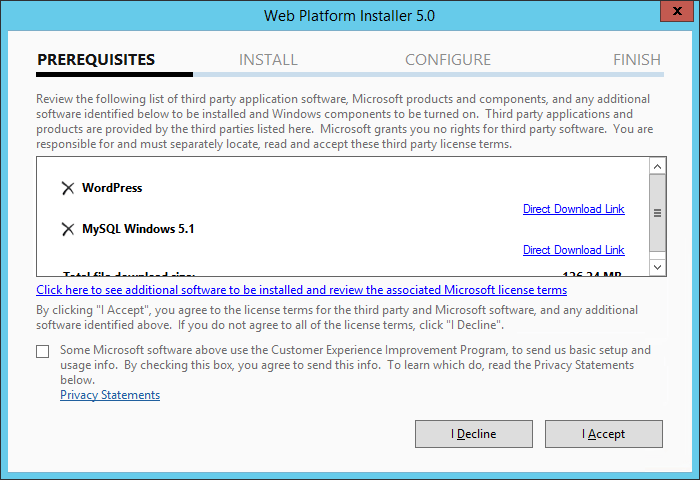 The package should usually take care of best practices and proper install. So putting trust in it, I figured to give it a go. It then presented me with license agreement screen. It also showed me everything it was going install. 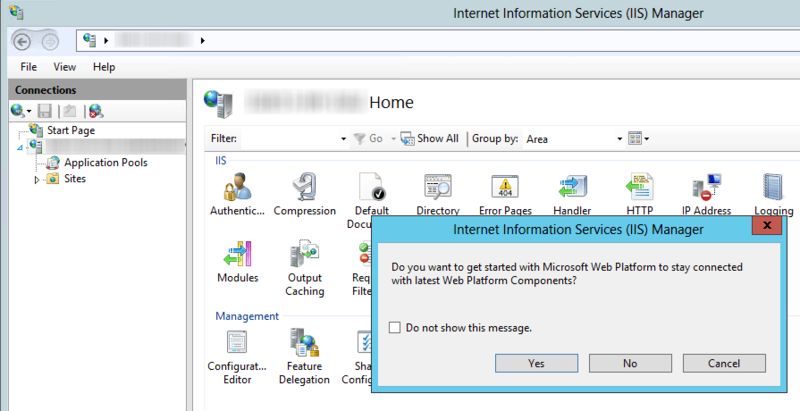 IIS components, MySQL, PHP… exactly what I was hoping for. Less work for me! I chose to put the blog in new site of its own. Notice little password checkmark at the bottom. It asked me to copy password information to clipboard. 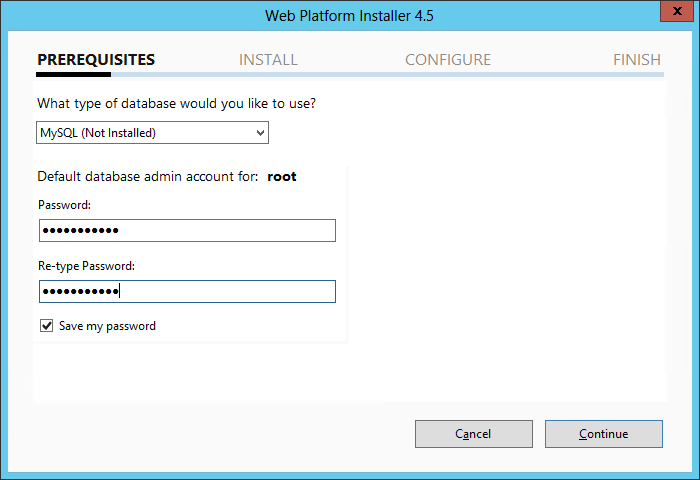 I guess without it I would have been in trouble when I need to configure database information later for any reason. It is one link that was easy to miss but I clicked on it anyway and copied all information (database name, database username and database password) in safe place for future reference. 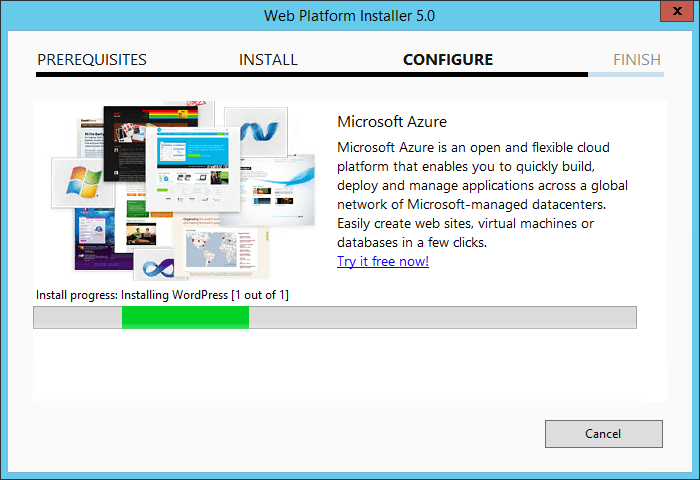 From here on, it’s the same as installing WordPress on any platform. 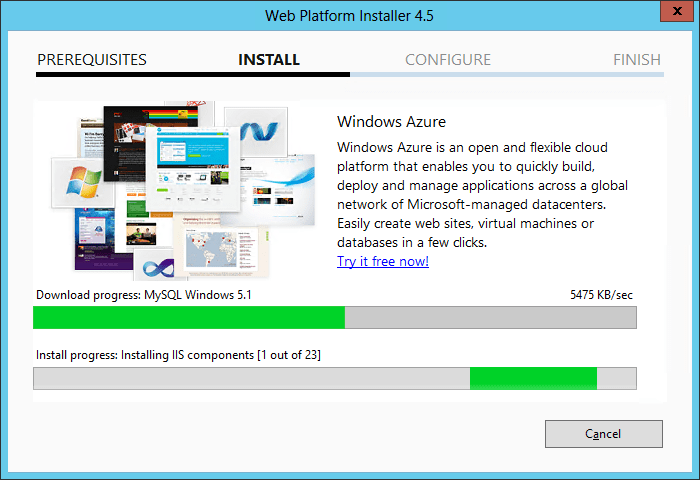 Gotta say Windows Server 2012 combined with Web Platform Installer has me singing praises for making my life easy. Cheers for Web PI. I don’t think it is a firewall setting. 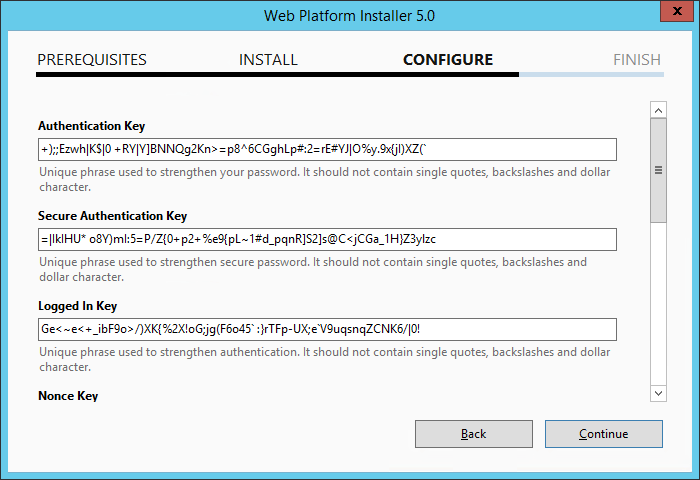 Ability to download and install templates/updates relies on IIS permissions. 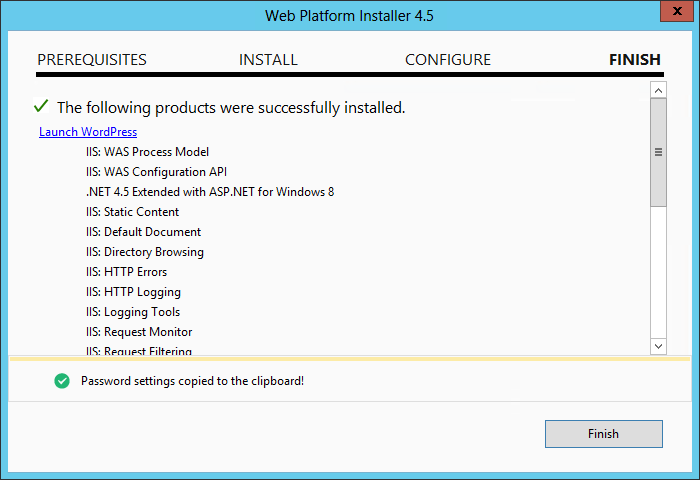 Maybe this link will help you: http://wordpress.org/support/topic/windows-iis-permissions.